No two people were more important to American conservatism in the postwar era than William F. Buckley Jr. and Ronald Reagan. 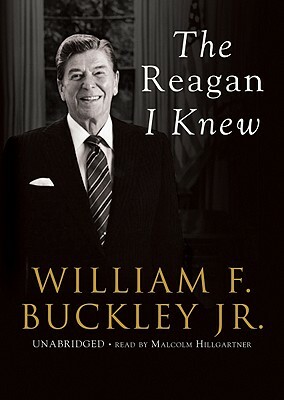 Buckley's writings provided the intellectual underpinnings, while Reagan brought the conservative movement out of the wilderness and into the White House. The pair met in 1961 when Reagan introduced a speech by Buckley. When nobody could turn on the microphone, Reagan climbed out a window, walked along a ledge to the locked control room, broke in, and flipped the correct switch. Buckley later described this moment as a nifty allegory of Reagan's approach to foreign policy: the calm appraisal of a situation, the willingness to take risks, and then the decisive moment leading to lights and sound. For over thirty years, the two men shared jokes and vacations, advised each other on politics, and counseled each other's children. When Reagan was elected president, Buckley wrote him to say that Reagan should not offer him any position in the new administration; Reagan wrote back saying he had hoped to appoint Buckley US Ambassador to Afghanistan (then under Soviet occupation). For the rest of his term, Reagan called Buckley Mr. Ambassador. On the day the Soviets withdrew, he wrote Buckley to congratulate him for single-handedly driving out the Red Army without ever leaving Kabul. Yet for all the words that have been written about him, Ronald Reagan remains an enigma. His former speechwriter Peggy Noonan called him paradox all the way down, and even his son Ron Reagan despaired of ever truly knowing him. But Reagan was not an enigma to William F. Buckley, Jr. They understood and taught each other for decades, and together they changed history. The Reagan I Knew traces the evolution of an extraordinary friendship between two American political giants.